Our Species of the Week this week is Beech! 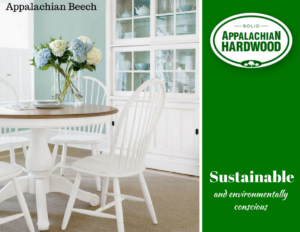 American beech is an important species within the huge family of Fagaceae in the silvicultural composition of the natural hardwood forests of North America which include oaks and chestnut, but beech is not one of the most commercially available. 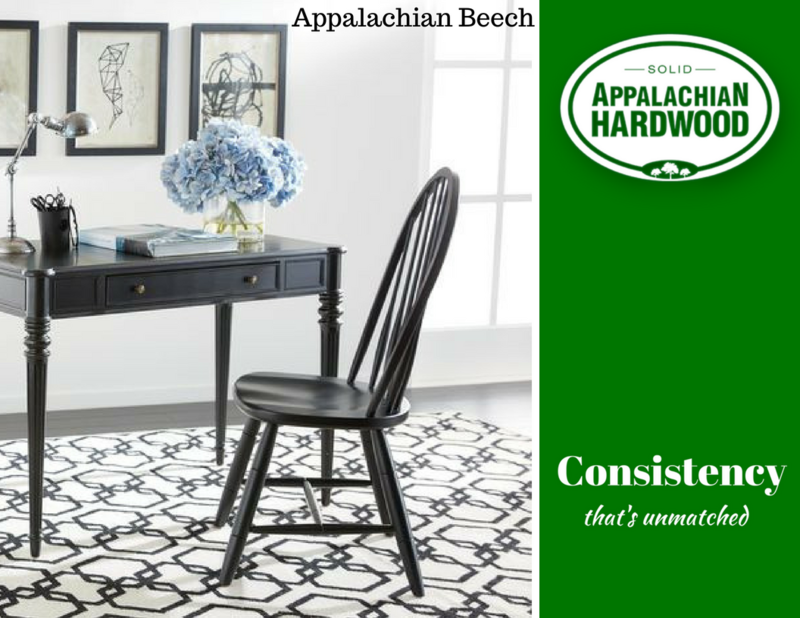 American beech tends to be darker in colour and less consistent than European beech. The sapwood is almost white with a red tinge and the heartwood is light to dark reddish brown. The wood of beech is generally straight and close grained with uniform texture. It has medium bending and crushing strength, but is low in stiffness and shock resistance. The wood may exhibit brown mineral streaks in the heartwood which, under NHLA Grading Rules, are not considered a defect. 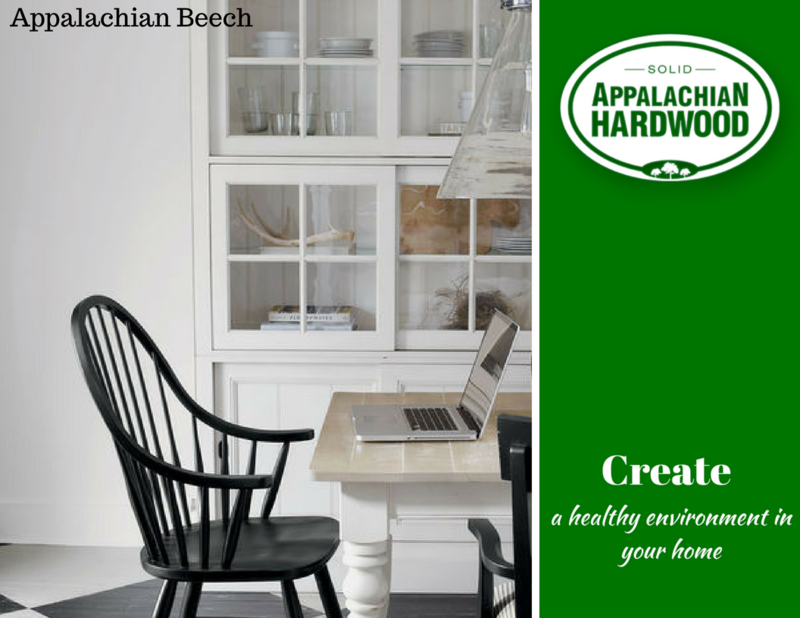 Beech is considered suitable where hardness and hardwearing properties may be essential. It is used in furniture, doors, flooring and panelling. It has specialist applications including tool and brush handles as it iis easy to turn. Having no smell or taste, it is suitable for food containers. 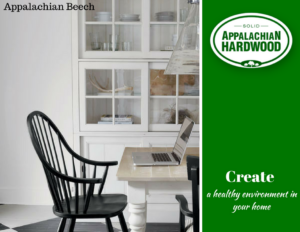 American beech works well with most hand and machine tools. It has good nailing and gluing properties and can be stained and polished to a good finish. The wood dries fast and tends to warp, split and is subject to surface checks when dry. It is prone to large shrinkage on drying and will move in humid conditions. The wood is non-resistant to heartwood decay but is permeable for preservative treatment. Beech is heavy, hard and reasonably strong. It has high resistance to shock and is very suitable for steam bending. American beech trees grow widely across the eastern USA in mixed hardwood forests, although are concentrated in the central areas of the eastern States. American beech is different to European beech as the trees grow less tall and generally less straight and are frequently multi-stemmed in older stands. 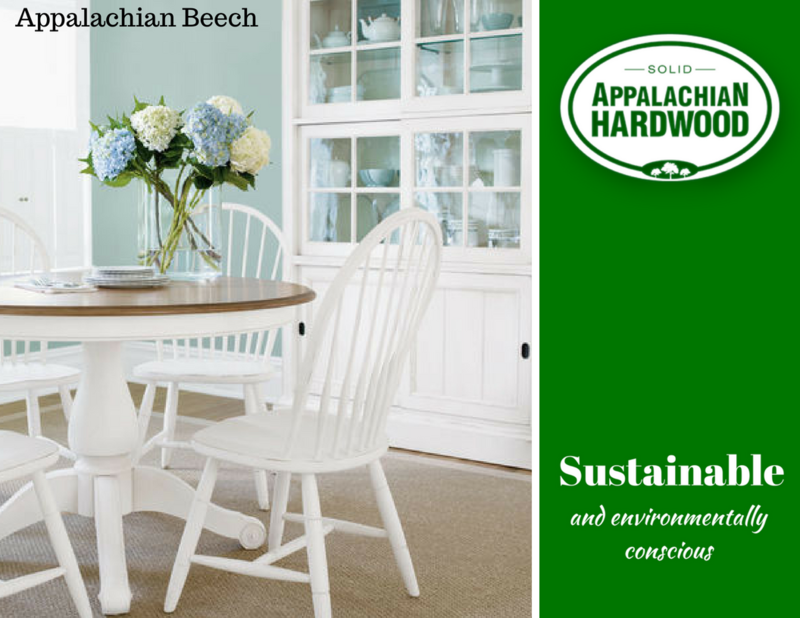 Beech from the USA has limited availability as sawn lumber, especially in higher grades and thicker sizes. This is attributed partly to the fact that most parcels of mixed species logs do not contain sufficient beech to produce a full charge for kiln drying. Furthermore beech, which is rather difficult to dry, requires a particular kiln schedule and cannot easily be mixed with other species. For this reason availability is mainly from specialist producers who can also usually supply steamed beech. The lumber is normally sold unselected for colour and mainly in thicker specifications. Beech veneer is rarely available. *All information has been pulled from americanhardwood.org. 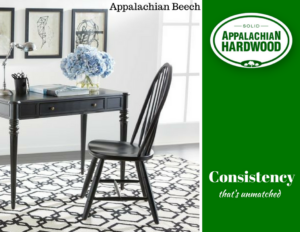 Gilbert Side Chair by Ethan Allen. Gilbert Armchair by Ethan Allen. By submitting a comment here you grant AHMI a perpetual license to reproduce your words and name/web site in attribution. Inappropriate comments will be removed at admin's discretion.